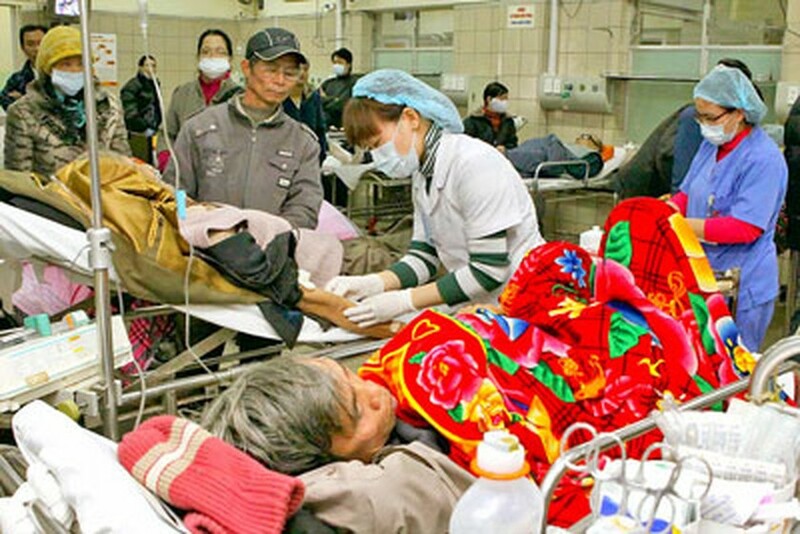 Icy cold weather in North Vietnam and the Northern part of the Central Region is hindering the daily activities of people, with many children and elderly persons being hospitalized. 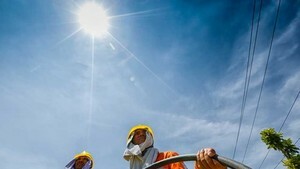 The Northeast Region recorded temperatures of 5-8 degrees Celsius and 10-12 degrees Celsius in Northern Provinces of Hai Phong and Hai Duong and the capital city of Hanoi. Nguyen Thi Hien, an accountant in a big enterprise, took two days off to look after her five-year-old son as she did not have the heart to send him to his kindergarten school three kilometers away from her house in the shivering cold. Parents of such little toddlers are taking turns between themselves to take leave from their jobs to look after their young children. As a result, preschools are quite deserted these days, with almost all classes facing some absentees daily. Prolonged chilly weather has caused price of fresh vegetables and meat to increase due to shortage of supply. Flower farmers in Quang Ba, Me Linh and Nhat Tan Villages, which are famous for peach blossoms, are now very worried and spend sleepless nights warming up the flower beds with electric lights. Persistent and prolonged cold weather conditions have increased demand and prices of warm clothing like woolen items, electric blankets, and hot water bags.